The NanoTOES project and its fellows have a Supervisory Board that provides external evaluation, monitoring and advice. As indicated in Description of Work (Annex I), the Supervisory Board will review and agree the training and career plans, monitor the progress of the fellows and of research projects, advise on ethical questions and on strategies, and advise and monitor gender equality and communication activities. 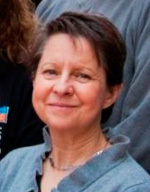 To this end, the Coordinator invites the Supervisory Board members to selected project meetings and are engaged in the training of the fellows in different ways (giving training lectures, analysing their research results and performance, also analysing the performance of PIs as trainers, and providing feedback to the Coordinator and/or the PIs and/or directly the fellows, in different circumstances). Professor at the Department of Plant and Soil Sciences, University of Kentucky, Lexington KY, USA. 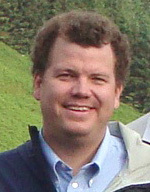 Jason M. Unrine is Assistant Professor in the Department of Plant and Soil Sciences at the University of Kentucky. He earned his B.Sc. in Biology from Antioch College in 1998 and his Ph.D. in Toxicology from the University of Georgia in 2004. He conducted his postdoctoral research at the Savannah River Ecology Laboratory in 2005 where he subsequently worked as an environmental chemist (2006–2008). He joined the faculty of the University of Kentucky in 2008. His research focuses on the fate, transformations and bioavailability of trace-elements and engineered nanomaterials as well as their impacts on human and ecosystem health. His participation in the Supervisory Board brings in a larger perspective on ecotoxicology, a necessary component in nanosafety (the NanoTOES project has only one partner dedicated to this area). Principal Scientists at the Health Effects Institute, Boston MA, USA. Her participation in the Supervisory Board also opens up the topic of applications of nanotechnology in fuels, which is not directly covered by other project partners, and is also an excellent case study on the interaction between science and industrial applications that can quickly reach the general audience.